For The Best Clean GO GREEN And See Instant Results! There are just about as many theories on roof cleaning as there are companies selling the service. 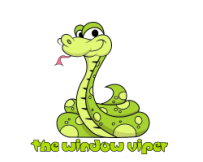 At The Window Viper we have done extensive research and field tests to determine which of these work and which ones don't. There are a lot of "splash and dash" services that sprinkle or spray on consumer products that can take months, years, or simply don't work. Depending on the roof materials, the amount of moss and algae, and the pitch of the roof, we can offer the right roof cleaning service to suit your needs. 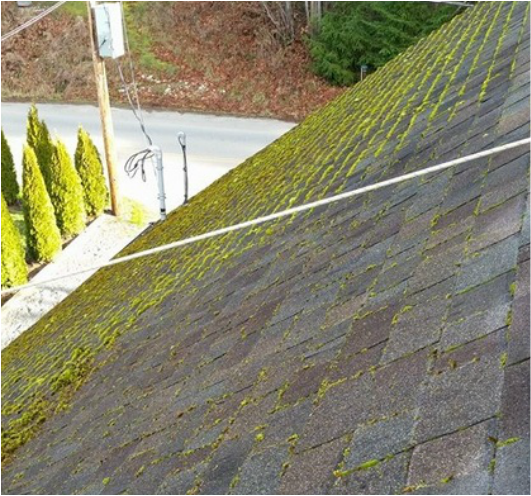 Every moss removal service must be followed up with a gutter cleaning. After your moss has been removed we use a professional, truck mounted, liquid spray pump system to apply our special hydrogen peroxide based product that will completely wipe out the tiny roots and microspores. Our special formula is certified eco friendly and will not damage your home, gutters, gardens or pets. Weather IS a factor and we will not perform moss removals during heavy rain, otherwise the liquid moss treatment gets diluted and is wasted. After the application of the moss treatment we can offer you a low pressure Roof Wash for a complete revitalization. 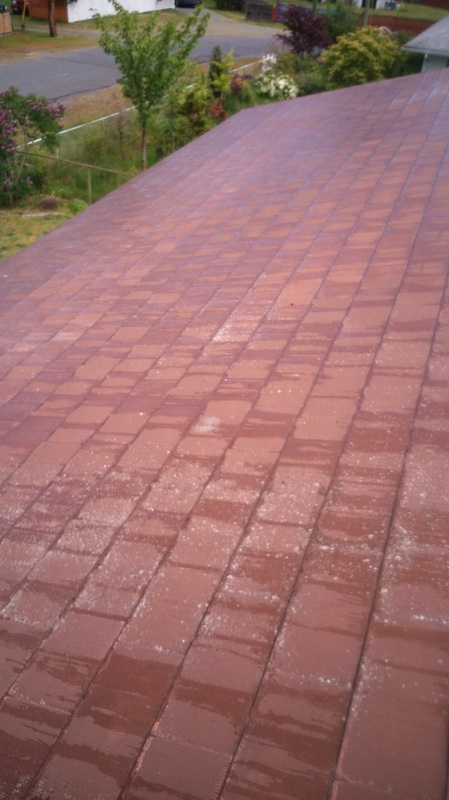 It's like a facial exfoliation, but for your roof! Using garden hose pressure the remaining fragments of dead moss can be rinsed from the roof as well as any black or green algae. Once again this service is followed by a thorough gutter cleaning. 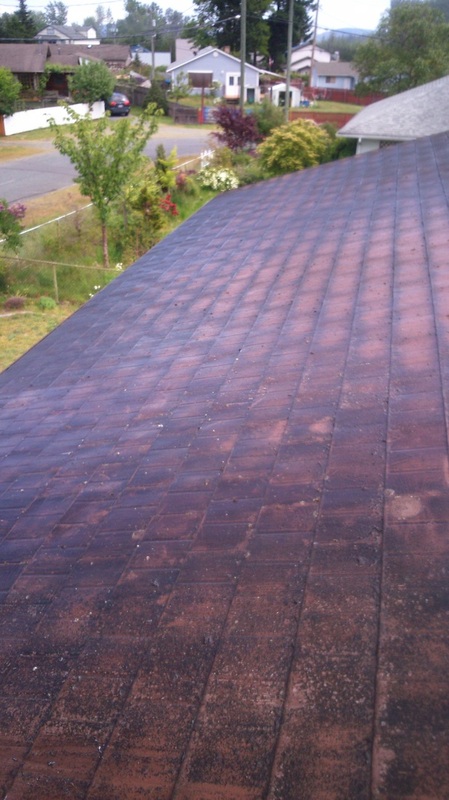 We advise that roof treatments be repeated annually in our moist climate to prevent any re-growth. We guarantee that once the moss is off - it stays off - if you follow this process. The spores are always in the air looking to take root on your roof and even if you don't see it, it's there. A yearly treatment is a good preventative alternative to waiting and removing the moss repeatedly time and time again. Our technicians carefully remove moss by hand, gently agitating with simple tools. The exposed roots are now exposed and totally vulnerable to the moss treatment. Your roof is back to square one without any impact to the integrity of the surface. Unlike your standard fiber glass or asphalt shingles, stone and concrete tile roofs are built tough enough to withstand a lifetime of weather and abuse. But over time moss, black algae, and lichen will try to take over thanks to the porosity of the stone itself. As you can see in the picture above, we can completely return this type of roof back to it's LIKE NEW condition. We recommend annual treatments to keep the roof looking beautiful year after year, because without your annual roof wash - it's a fact that the moss will be ready to return. Imagine your metal roof looking LIKE NEW again! Algae and lichen will colonize your metal roof and actually cause damage to the colour finish, and promote oxidization, leaving the roof vulnerable to rust and leaks. We completely clean every inch of metal either by soft wash, pressure wash, or by hand. Our certified technician will advise you as to which method suits your roof best and assure that all safety standards are adhered to. 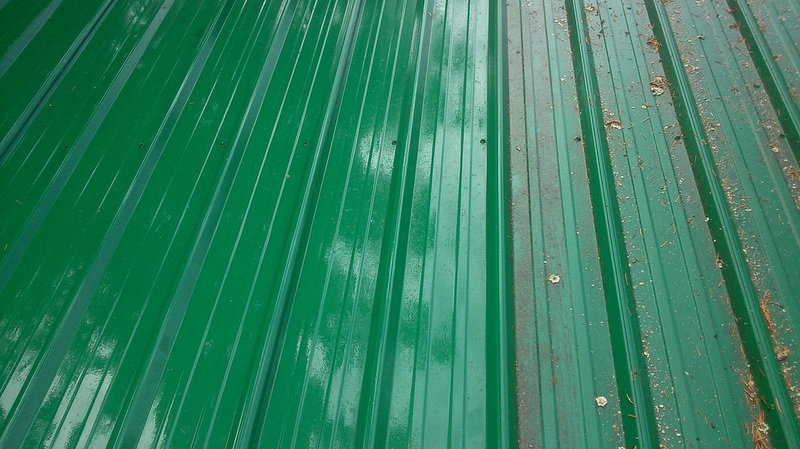 Since the algae are extremely slippery when wet, a metal roof should only be cleaned by a trained professional.